An Amtrak chartered train carrying Republican Party lawmakers to an annual retreat in Virginia struck a truck killing one and seriously injuring another on Wednesday morning in the United States. No Republican politicians or aides were harmed beyond minor injuries, but Arizona Senator Jeff Flake told CNN one individual in the truck was killed by the impact. 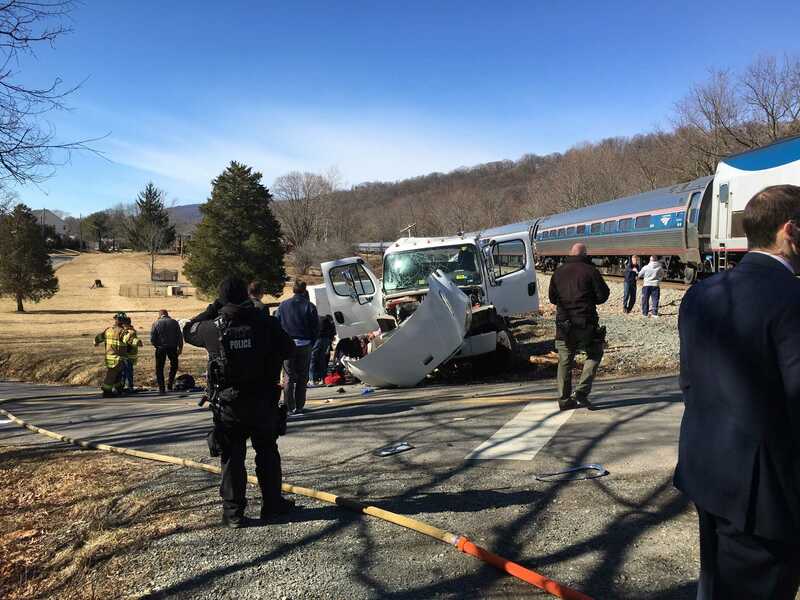 The crash occurred at 11:20 a.m. near Crozet in Virginia, some 180 kilometers southwest of the Capitol. “There is one confirmed fatality and one serious injury,” Sanders said. Mr. Trump is due to attend the retreat on Thursday. More details to follow. Image of the crash scene from WDSU New Orleans.